Life insurers offer a ‘free-look period’ with insurance policies. Does this mean that one can get a refund of premium if one doesn’t want to continue with the policy? The “free-look period" offered by life insurers is the time given to the policyholder to re-evaluate his purchase. The free-look period normally starts from the day the policyholder receives the insurance documents and ends on the 15th day. During this time, if the life assured or the proposer (in case both are different) feel they haven’t got the kind of cover they were looking for, they can terminate the policy and claim a refund of premium. Most insurance companies refund the entire premium received, though some may deduct some amount on account of stamp fees and other administrative expenses. Does the disability income benefit rider provide compensation in case of death too? The disability income benefit rider provides income to the life assured during the period of disability. Benefits are paid periodically as a stated amount that may have a relationship to the face value of the policy. The payment is made till recovery or death. It may be limited to a specified period or up to a specified age. Normally, there is a waiting period too, but in case of death of the life assured, the waiting period is reduced to nil and no deduction is made. I want to take a housing loan against a life insurance policy I had taken last year. The policy is for Rs5 lakh for a 20-year period. According to the policy documents, I can get a loan only after three years of the start of the policy. Can I pay two premiums in advance and get the loan? The loan against a life insurance policy is granted on the basis of the surrender value of the policy. The stipulation of three years for grant of loan is for the same reason, because your policy will acquire the surrender value only after the completion of three years. Paying the premium in advance won’t help. *What is the procedure for prepaying the loan amount for a home loan from ICICI Bank taken in 2006? Also, what is the minimum amount to be paid as the prepayment? What are the documents required? Since you are asking about the minimum prepayment amount, we presume you are talking about a partial prepayment as opposed to foreclosing the loan. The minimum amount you can part prepay is equivalent to one EMI. The maximum amount would be the outstanding amount after retaining 12 EMIs with ICICI Bank. For prepayment, you will have to meet the customer service officer and give instructions to reduce the tenure of your loan or your EMI. Whatever you pay will be first adjusted towards outstanding dues-fees, charges and outstanding EMIs. The remaining amount will be adjusted towards the principal amount of the loan. No documents are required for a partial prepayment. You only need a receipt and an acknowledgement from the bank regarding the new EMI and tenure. Which banks give concession to girls on education loans? A concession of 0.5-1% is given to girl students across almost all banks. This is a substantial amount. Assuming that you need a loan on which interest and principal payment will begin only after the course is over, getting an education loan for Rs20 lakh is difficult, unless you can offer a large collateral security, the course is from a prestigious university and your daughter has a good academic track record. Go for bigger PSU banks such as State Bank of India or Canara Bank. 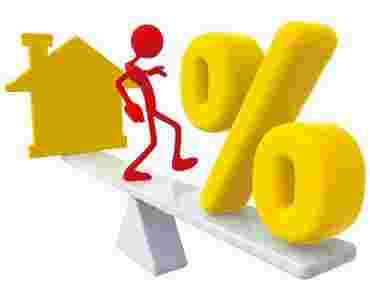 Try to go for a fixed rate loan.